The AirStMaarten Newsletter is professional with a personal touch, informative and to the point with news, opinions, background information, articles and promotions. If you wish to subscribe to our mailinglist, click here or send an email to mailinglist@airsxm.com. We never share our emailaddresslist with others. We appreciate your trust and respect your privacy. I am presently working on a new website for AirSXM.com. The intention is to improve our service and increase our response time in processing your reservation requests. One of the complaints of our clients is that they cannot get to see our prices immediately when submitting a reservation request. I don't think that will ever change. What will change though is the access to privileged information. Our prices and rates are privileged information and only accessible to clients who have the serious intention to do business with us. Therefore, the main feature of our new website will be a client login. As a client of AirSXM, you will be able to login and manage your own reservation requests, offers and confirmations. With this feature you will have direct access to our prices and rates and the latest news, updates and alerts. The same level of access and more service features will be granted to you if you are a travel agent, tour operator or travel services provider. Once the new website is ready for testing, I will inform you. If you are interested, you can be the first to test our new website when it is ready. "Be our guest and put our service to the test." In the meantime, happy readings! Adformercial: Fired Travel Agent Reveals How To Get Dirt Cheap Airfare Tickets! I Was Fired By The Airlines, So This Is My Revenge! This Angry Ex-travel Agent Will Reveal The Deepest, Darkest Secrets Of The Airline Industry To Show How You Can Obtain Airline Tickets At Ridiculously Low Costs! Click here! For more information about our Shared Charters and to see the constantly updated Shared Charters Schedule online, visit http://www.SharedCharters.com. Zappos is an American company that sells shoes and apparel online. The company’s CEO, Tony Hsieh, has made customer service the core of the business. Customers must get a WOW-experience every time they contact the firm. That’s the reason the Zappos call center is not outsourced to India or another faraway cheap place. It is firmly established at the company’s headquarters in Las Vegas. Hsieh has so much confidence in his own customer service that he once challenged someone to call Zappos for help when room service at the hotel he was staying at was unable to deliver a pizza to his room. While Zappos is not in the pizza business, the customer rep in the call center wasted no time to provide five phone numbers of nearby pizzerias that were still open. But when the owner of a beach cruiser store put the call center deliberately to the test, the following chat emerged. The store owner posed as Timmy and he talked to a service agent called Jonathan. Jonathan: Hello Timmy. How can I help you? Timmy: Do you know how wide the G-shock Atomic Solar-AWG101 SKU#7403774 is? Timmy: I mean, how big a wrist in would fit? Timmy: Timmy has a big fat wrist. Timmy: Timmy need watch grande. Jonathan: I’ll see what I can find pout for Timmy. Timmy: awesome. And can we please continue to talk about Timmy in the third person? Timmy likes to boost Timmy’s ego by talking about Timmy that way. Jonathan: Jonathan would be happy to neglect the use of pronouns for the duration of this conversation. Timmy: Jonathan and Timmy shall get along just fine. Jonathan: Will Timmy be able to measure Timmy’s wrist? Timmy: Timmy’s wrist is big, but not Biggie-Smalls big. Timmy doesn’t have the required measurement instruments. Timmy: Timmy is 6’4” 220lbs if that helps Jonathan. Jonathan: Luckily that is roughly the size of Jonathan’s brother so that does help. And on and on. The service agent played along with his funny customer, helping him in any possible way, without ever losing his cool, and he even upgraded Timmy’s account on the fly to VIP status which meant that all his future orders would go out with 1-business-day shipping free of charge. The story comes from Tony Hsieh’s book Delivering Happiness. It tells the story of his unlikely rise to the top of a billion-dollar company and his absolute passion for customer service. Hsieh, a son of Taiwanese immigrants to the United States, developed his passion for making money at an early age. He tells with gusto about his bloopers with a worm farm (the worms disappeared in the ground), and about his talent to turn his obligatory music practice into something he considered more useful: he read a book while he played a tape of a previous lesson early morning, giving his parents the impression that he was mastering an instrument, while his teachers were baffled by his lack of progress. Hsieh gave up a comfortable job at Oracle, founded LinkExchange and sold it in 1998 for $295 million to Microsoft before he turned his attention to Zappos, a company that was snapped up for $1.2 billion by Amazon in 2009. After reading his book, we were astounded to find in our own environment countless examples of businesses that place customer service so low on their corporate totem pole that it makes you cringe. Recommended reading for everyone who wants to rise above the rest. Tony Hsieh: Delivering Happiness, a path to profits, passion and purpose. Published in the TODAY newspaper, November 7th, 2011. AIRPORT, St. Maarten, November 11th, 2011 -- Vice-President of the Council of Advice (Raad van State), Herman D. Tjeenk Willink, started his farewell tour to St. Maarten, Saba and St. Eustatius on Friday. His first engagements are Saba and St. Eustatius. He transitted briefly in Princess Juliana International Airport on on his way to Saba. The Council of State, chaired by her Majesty Queen Beatrix, is the highest advisory council in the kingdom. Tjeenk Willink will step down in January 2012 from his present post. At that time he will be age 70. He and his delegation will return to St. Maarten on Monday for a series of meetings with Governor Eugene Holiday, Parliament and the Council of Ministers. 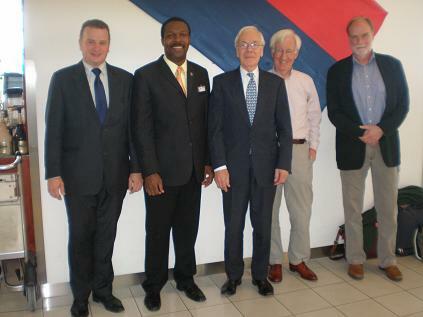 Tjeenk Willink and his delegation were received and escorted by Terrance Rey, CEO of AirStMaarten, at the airport. Rey is also Policy Advisor in the Parliament. 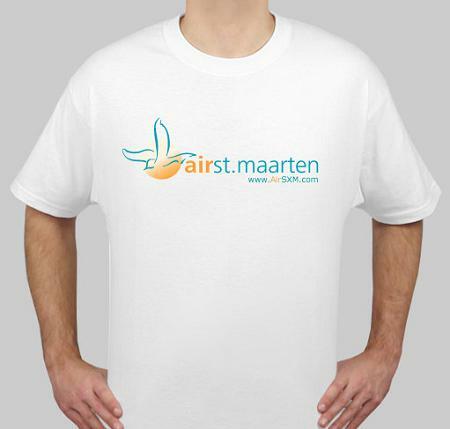 In the past, AirStMaarten has arranged flights and charters for visiting dignitaries to the islands such as member of the royal family Professor Pieter van Vollenhoven; former State Secretary for Kingdom Relations Ank Bijleveld-Schouten and Dutch Minister for Interior Affairs and Kingdom Relations Piet Hein Donner. Published in The Daily Herald on November 12th, 2011; page 9. If you want to fly, you have got to give up the bagage that weighs you down. We have requested that Friday, November 18th, 2011, be declared - not a national holiday (because we have to work), but a special day in honor of a special VIP who will be arriving on St. Maarten and transitting to St. Barths. If you would like to receive your own AirSXM.com t-shirt, simply send us an email via sales@airsxm.com. Based on the amount of people interested, we will determine whether to have the t-shirts made locally or produced and drop-shipped from a location in the USA. We have already received several inquiries. So keep those inquiries coming. The more, the better. For more information about AirSXM.com's merchandising, email us via sales@airsxm.com. Submit a reservation request online at www.airsxm.com. 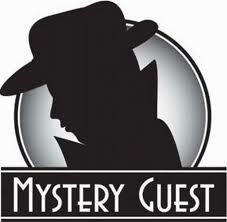 Once we receive your request, we will send you a Reservation Offer for your consideration. Once you accept our proposal, we will require payment. You can use our credit card form to send us your credit card information. We accept all major credit cards such as Visa, MasterCard, Discover and American Express. You can also pay by bank transfer, check, cash or Paypal. Once payment is received, we will book the commercial flight or private charter and send you a Reservation Confirmation. If you have requested additional services such as VIP Transfer Services, we will send you a Final Confirmation containing all details of your travel itinerary and services booked. 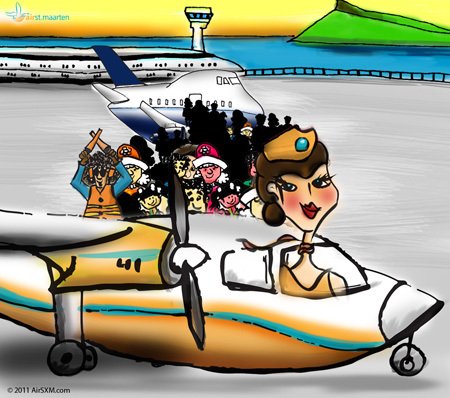 And that's how you book with AirStMaarten.